We have had another exciting year at Nuffield and another amazing group of young people have become Nuffield Scholars adding to the leadership potential and knowledge in our industry. We had a great conference last year in Belfast, thanks to Campbell Tweed and the Scholars of Northern Ireland. The conference is now a must event for Scholars and the consistency and quality of the papers shone through. The buzz, ideas and the networking for Scholars, potential Scholars and sponsors has really made it the event to attend. We were delighted to welcome a fantastic number of local sponsors this year - their support is invaluable. We hope their contacts will help us pull in our next group of scholars from Northern Ireland. We welcomed the 18 new Scholars to Nuffield this year and the awards ceremony has helped to introduce them to their sponsor and the wider body. The pre-conference induction day now gives new Scholars a full insight into what to expect and how to prepare for the learning journey ahead. In March, at the CSC, we were again kindly hosted by Savills, whose staff gave the group the benefit of their expertise in presentation skills, media and analysis. We were given a good grounding in the issues around Europe from Maeve Whyte and were treated to a full-on debate on Brexit whilst Patrick Begg and his team from the National Trust challenged the group on strategic thinking. The CSC itself was welcomed to Cavan by Nuffield Ireland and what a genuine welcome we received. It is amazing how well the UK Scholars gelled and performed at the group tasks. We were given presentations by industry leading operators including a real insight into the reasons why the ‘Harvest 2020’ initiative is such a success and why the Irish agricultural industry is going from strength to strength - especially in the dairy sector. The Scholars were once again led in their group challenges by Jean Leonie and Sally Thomson. Jim Geltch always says “the knowledge is in the room” and the CSC now functions to enable Scholars to take full advantage of that. The growth of individuals during this short period is immeasurable and we left Ireland with firm friendships made and some fantastic contacts for future travels. Nuffield international is now well on its way to being a fully funded stand-alone organisation with Jim Geltch as its CEO. Jim, as usual, has set himself ambitious targets and has already secured funding for five scholarships this year. Kelvin Meadows will take over as Chair of Nuffield international from Roger Mercer at the 2017 Triennial next year and they, with Jim, are working very hard to underpin the funding for this amazing new endeavour. Jim and Sally will lead the organising for next year’s CSC in Brasilia, Brazil. The program that Roger and his committee have put together is amazing with the title “Small Island Big Ideas”. This World conference will show the best British agriculture has to offer with a thoughtful and comprehensive program. I must thank Roger Mercer and the team for putting together this fantastic event. Thank you also to Julie Mate for the wonderful work she has done pulling the program together and producing such an excellent website. So please have a look and get booking now. 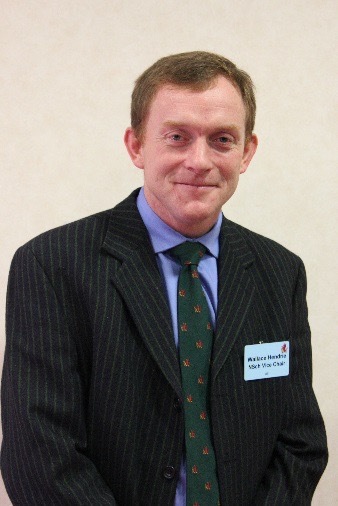 We also selected our first Nuffield Farming Lecturer, Professor Michael Winter. He will present a lecture in London 2018 on the subject of: “How agriculture can serve the multi food cultures of 2025”. With thanks to Meryl Ward and the Arden family for funding and working with us on the evolution of the Arden scholarship. Applications this year were strong and we had 43 candidates for interview over the three days in October. I would like to thank all the selectors Allan Blackburn, Dorothy Fairburn and Frank Thompstone along with Julian Darling, for their wisdom and endurance to select the Scholars, the Best 204 Report and, this year, the Nuffield Lecturer. This year we selected 19 Scholars studying a wide range of topics from aquaponics to weed mapping. Part of the joy in this role is witnessing the passion and enthusiasm for our industry from future Nuffield Scholars. More emphasis has been placed on a Scholar’s report that is focused and will deliver real change within the industry. The work of the board has continued apace. We have committed to underwrite more GFP scholarships and our work with sponsors in the spring moves us further to help understand the potential of the GFP for all. We are all committed to the individual scholarship and delivering the best people to progress leadership in UK agriculture. We have further reviewed our mission statement and values with a view to promoting Nuffield to a wider audience. Building on our excellent profile with the BBC, Farmers Weekly and Farmers Guardian, we would like to extend the Nuffield possibilities for those outside the usual Nuffield circles. We must recognise that agriculture has moved on from an era when farmers were entrusted to feed a hungry nation. We all now play a part in a sophisticated supply chain not just in food but energy, the environment and leisure. We would also like those of you who are aware of potential leadership roles within the industry sector boards or expert committees, ways that Nuffield’s can inform the decision-making process. We are not a lobby organisation but do have a duty, as individuals, to inform and take a lead. I have thoroughly enjoyed my tenure as chairman and must thank Julian Darling for his support to me personally and his skill and energy in the role of vice chairman. Your board have a wide range of skills that we have brought to bear on the running of the Trust and on behalf of Nuffield I thank them for their work. I must single out Louise Manning for her role as Chair of the Communications Sub-Committee and her amazing work with the Scholars to get the best from their scholarships. Finally, I would like to thank Mike and Poey and their team who have made the smooth running the trust possible. We have come a long way in a relatively short time.